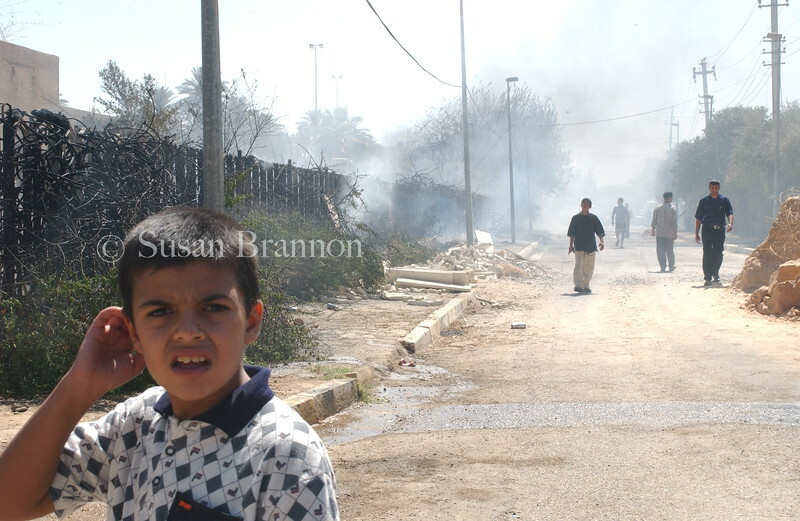 News images from Iraq in 2003. Stories of Iraqi life, the gas shortage, American soldiers, bombings and news. Before Sadam's fall, journalist's walking around with camera's was a rare site. This boy looks in facination at my camera.